They are the "it" apple - the one everyone's gotta have and for good reason. As good or better than other varieties in fresh market flavor and boasting a better texture than any other apple known to this world, our Honeycrisps out-sell every other apple we grow for market by at least 200% - those numbers have to mean something, folks. 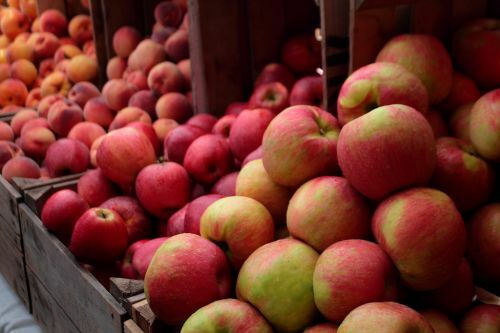 Looking at approximately 22 lbs of crunchy, snappy, sweet-tart Honeycrisps per order and always be sure to indicate at which market you'd like to pick up these juicy morsels.